You may think that organic fruits and vegetables don’t need to be cleaned and inspected like conventionally grown produce, since they aren’t covered in pesticides. 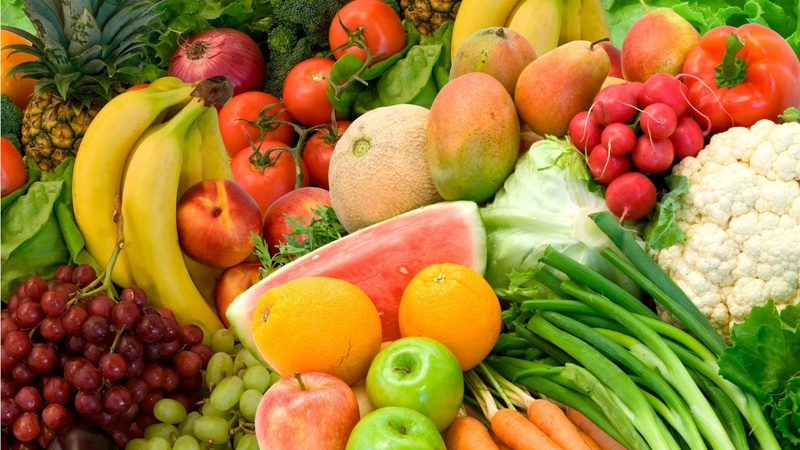 However, you should always carefully clean and inspect all fruits and vegetables since there is a good chance other things besides pesticides and chemicals are lurking on their surface. Although organic vegetables and fruit aren’t grown with pesticides or chemicals, they can be cultivated with natural soil enhancers and fertilizers such as manure, bone meal, and worm castings. Baking soda is a natural element, bicarbonate of soda, and is sometimes found in mineral form dissolved in mineral springs. It is inexpensive and can be found in most pantries. Baking soda is a biopesticide, which inhibits the growth of certain bacteria, fungi and viruses. Make your own natural scrub by adding a teaspoon of baking soda to water. The pasty mixture is a perfect way to remove bacteria from your fruits and veggies. Mix a few tablespoons of baking soda stirred into a cup or two of water. Pour the whole thing into a spray bottle if you want to go that way, or pour it into a mixing bowl. Use the scrub brush to clean the vegetables. Rinse away any baking soda residue with water.